Sitting a thousand miles east of Portugal’s mainland in the depths of the Atlantic Ocean, the Azores Islands may seem a bit out there as a vacation spot. But take one look at the fishing here, and you’ll be out the door and headed for the airport before the family hears you say “pack.” Azores fishing guides spend their lives battling grander Marlin and monster Tuna, taking the occasional break from the big game action to fill the boat with delicious reef fish. This is a very special place to fish, even without the beauty of the islands themselves. The Azores are famous among nature lovers for their dramatic mountains and green meadows flowing straight into deep, blue water. And when we say deep, we mean it. You can be fishing in 1,000 feet of water just a couple of miles from shore. While this may limit the number of beaches, it does give you some unbeatable angling opportunities for anything from Bluefish to Blue Marlin. You don’t have to travel far, whatever you’re after. 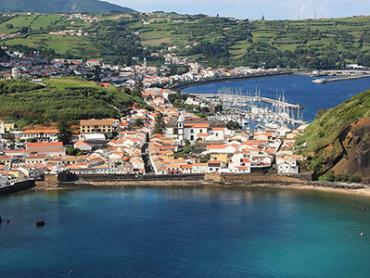 You have 9 different islands to choose from in the Azores, each with its own special draw. 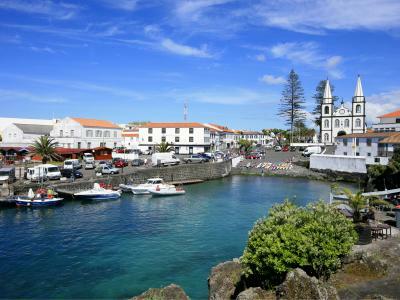 Sao Miguel is the biggest and is home to the region’s capital, Ponta Delgada. 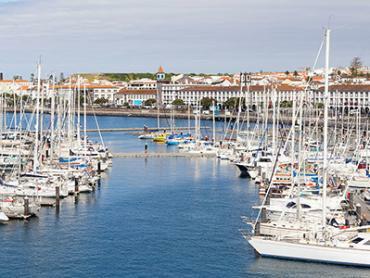 Unsurprisingly, Sao Miguel also has the lion’s share of the area’s fishing charters. Several other islands also have great charter boats, such as Ilha do Pico and Ilha do Faial. Wherever you are, you can find a captain willing and able to get you on big fish. The ocean is in people’s blood here, and many families have worked these waters for centuries. There are so many types of fish in the Azores that you can enjoy catching them in any number of ways. You won’t find many flats on these rocky, volcanic islands, but you do have a lot more choice than you might imagine. The big game fishing Azores anglers enjoy each year is some of the best on the planet. 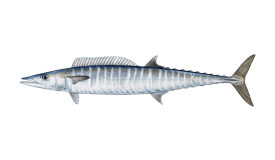 Blue and White Marlin, Bluefin, Bigeye, and Yellowfin Tuna, Blue and Mako Sharks, and a host of other pelagic species are funnelled past the islands by the warm currents of the Gulf Stream, and take a long vacation here during the summer months. Visit during high season, and Shark, Tuna, and Billfish Grand Slams are all a genuine possibility. 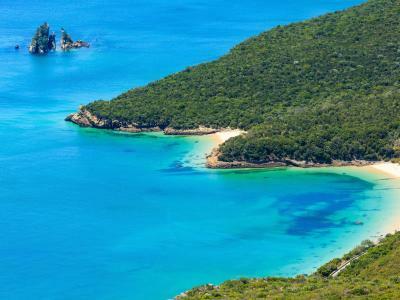 It’s not just variety these islands are famous for, though. Grander Blue Marlin are so common in the Azores that one lucky boat famously released three of them in a single day! 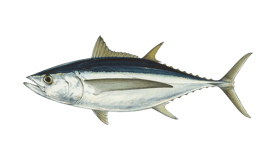 Bluefin Tuna get just as big, and Bigeye Tuna are just as prevalent. Both make for a delicious feast at the end of a hard day offshore. The Azores are no one-trick pony, though. 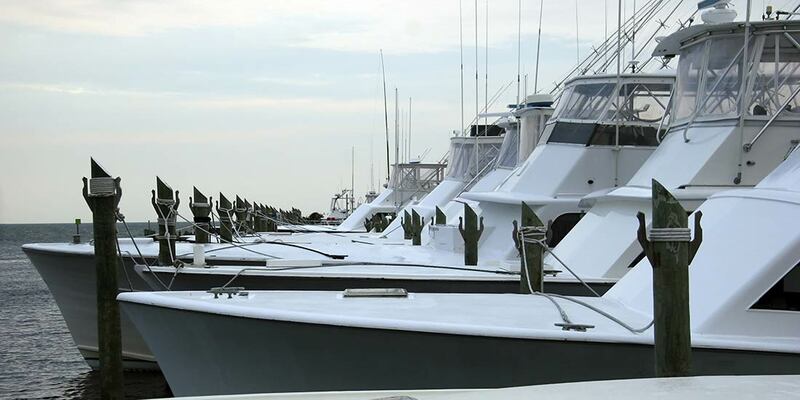 The rocky reefs and nearshore structure here hold huge Bluefish, Grouper, Amberjack, Seabream, and much more. You’ll be fishing almost within casting distance of land on these trips, so you won’t have to worry about rough seas or long charter times. Although summer is definitely the peak of the Azores fishing season, some people take advantage of the warm weather the Gulf Stream brings by visiting in the winter. If you’re one of them, you’ll be pleased to hear that all these bottom fish are found year-round. Lots of fish without the crowds of summer–sounds like the perfect fishing charter to us! You can catch a load of different fish without ever leaving dry land. Wet a line from rocks or harbor walls, and you can hook into Bluefish, Barracuda, Parrotfish, White Trevally, and more. You won’t find the monsters you can catch from a boat, but they’re more than enough to give you hours of fun. You may be thinking “islands in the middle of the ocean don’t have much freshwater action.” If you are, you’re dead wrong. 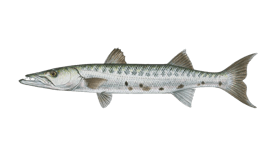 Rainbow Trout, Carp, Pike, Perch, and many other freshwater gamefish have been introduced in the local rivers and lakes. Remember to pack a rod if you’re going on a hike inland! You don’t need a fishing license aboard registered Azores charter boats. If you’re fishing from shore or in freshwater, you will need a Sportfishing License (Licença de Pesca Desportiva) or an Inland Waters Fishing License (Licença de Pesca Desportiva em Águas Interiores) respectively. These can be problematic to obtain as a foreigner, so be sure to look into it before buying that extra hold baggage for your fishing gear. 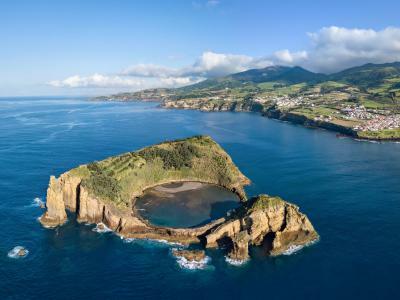 You can find anything from cheap-and-cheerful half days to all-out extended bluewater adventures on offer in the Azores, with price tags to match. If you’re after a few fish and a lot of fun, you can pick up a 4-hour nearshore trip for as little as €300. On the other end of the scale, 8 hours of Billfishing can cost anywhere from €800 to over €1,200, depending on the size of the boat and the quality of the crew. Prices are slightly lower outside of Ponte Delgada, but you really do get what you pay for. If you’re serious about bringing in big fish, consider investing the extra money–it’s a small price to pay for the catch of a lifetime! The western reaches of the Azores are as close to Canada as they are to mainland Portugal. 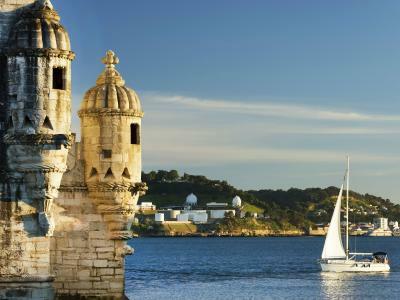 Despite the distance, you can find flights from Lisbon for as little as €65 return, even during Marlin season. If you’re traveling within the Azores, every island has its own airport and ferry services run within the three island groups. Ferries also connect the more distant islands, but they may be cancelled if not enough people book. Most locals fly if they’re going further than the next island over. Stunning scenery, great climate, epic angling–there’s a very long list of reasons to visit the Azores. 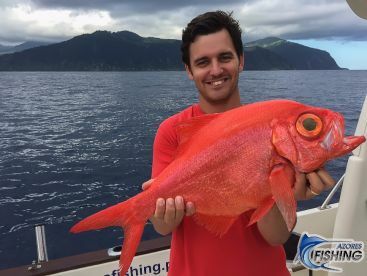 Whether you’re after the busy streets of Ponta Delgada or the remote beauty of Ilha Das Flores, there’s something for everyone with a healthy dose of world-class sportfishing thrown in across the board. 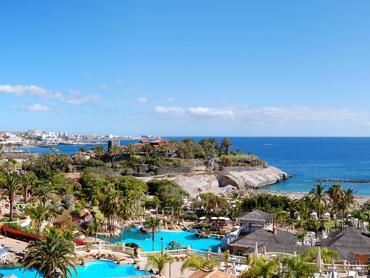 It really is the ultimate island paradise! Kick off the year with awesome angling. 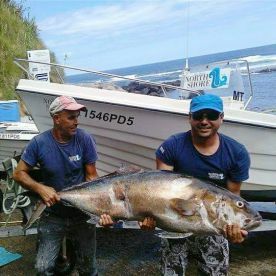 This may not be the height of the Azores fishing calendar, but you can still catch some huge Albacore, Amberjack, Grouper, and Sharks. Even in the coldest month of the year, you’ll rarely see your breath in the Azores. What you will see are a lot of big Amberjack, Barracuda, Seabream, Albacore, and Sharks! 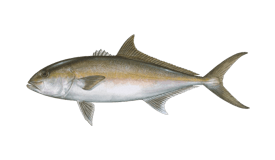 Albacore high season rages on and the reefs are always full of fish. 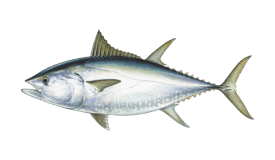 You can also catch spring season Bluefin Tuna this time of year if you’re after a real monster. April is still low tourist season in the Azores, meaning more water for you to enjoy! 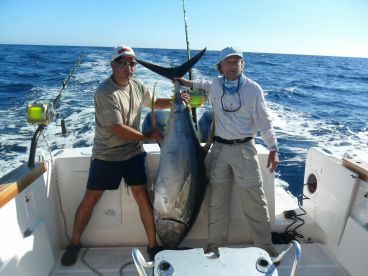 This is the peak of the spring Bluefin season, and a great time to spot whales while you’re fishing. Temperatures rise into the high 60s in May, and the fishing really starts to heat up, too. 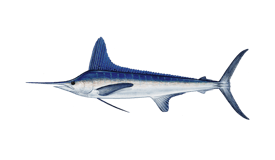 Mako Sharks are on fire this time of year, and the first of the White Marlin are showing up offshore. The deep sea fishing Azores anglers look forward to all year is here, with Bigeye Tuna, Blue and White Marlin, Longbill Spearfish, and more. The reefs are just as active, with tons of Triggerfish and Amberjack. Visitors to Sao Jorge Island can enjoy a week of concerts and celebrations at the Velas Cultural Week. Everyone else can enjoy epic Billfish and Tuna fishing! 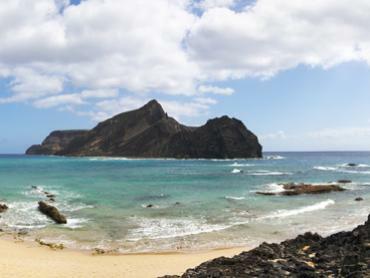 Faial Island celebrates the Week Of the Sea, a musical and cultural event in honor of the ocean. It’s a great time to celebrate it–this is the peak of the Azores Marlin fishing season! 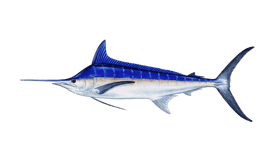 Blue and White Marlin, Bigeye, Bluefin, and Yellowfin Tuna, Longbill Spearfish, Wahoo, Mahi Mahi–and that’s just the bluewater bite! You won’t be short of action however you fish in September. Most of the summer crowds have disappeared by October, but the water is as active as ever! This is a great time of year to catch huge fish without picking up a big tab at the end of the day. 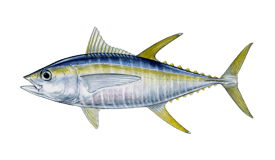 The last few Blue Marlin and Bluefin Tuna are still around in November, and the reefs are bursting with Amberjack and Grouper. 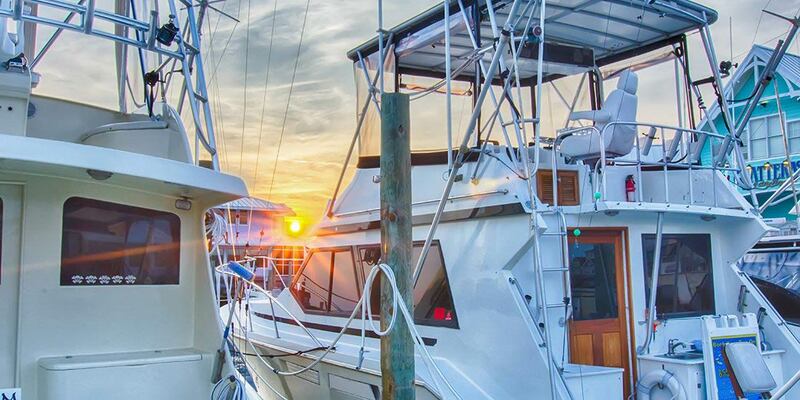 Take your pick and head out for an exciting charter. Temperatures are still in the mid-60s throughout most of December. Visit during the holiday season, and you can reel in some monster bottom fish for a real festive feast. Prey for good weather. Book accomodation well in advance. It's very hard to get of your on a budget. "Half day coastal fishing with captain Jose Furtado"
Book a trip with an experienced captain, like Mr. Furtado. Knowing the fish and the spots is key everywhere. "two day fishing with Seazores"